[prMac.com] Amsterdam, Netherlands - Today, AssistiveWare and N2Y announced the launch of, News-2-You 1.0, the first symbol-based newspaper app for iPad. The News-2-You app is a collaborative offering between AssistiveWare and N2Y bringing N2Y's national newspaper for special education to iPad. Every US school week, students will be able connect with the world through symbol-supported news articles, puzzles, games and recipes on their iPad. N2Y publishes the standard newspaper with four levels of difficulty each week; the new News-2-You app supports the "regular edition". The News-2-You newspaper is designed for teaching and expanding literacy skills, from basic awareness of symbols and print to reading fluently with comprehension. Each edition includes current events, a recipe, a joke page, sports news and a variety of interactive games and puzzles for some fun while learning. News can be read using natural sounding Text to Speech voices, providing word and sentence highlighting. Natural sounding American male, female, boy and girl voices are available as free downloads within the News-2-You app, as well as many specialty voices. News-2-You spurs learning and increases communication, while aligning to Common Core Standards for reading, speaking and listening standards. "We strongly believe in the benefits of having a symbol-supported newspaper for beginning readers and kids with special needs," said David Niemeijer, founder and CEO of AssistiveWare. "AssistiveWare is extremely proud to have had the opportunity to work together with N2Y to create the News-2-You app, so more kids can benefit by having access to News-2-You content for learning." The News-2-You app can be used with multiple students, each tailored with their own settings. Reading progress and answers to the exercises are tracked per student. Students can be locked into a specific edition or chapter or freely navigate all the downloaded editions. "Today's school environment is rapidly integrating the use of iPads in classrooms, so we are thrilled to now be able to offer our News-2-You newspaper on the iPad platform to support mobile learning," said Jacquie Clark, CEO and founder of N2Y. The collaboration between N2Y and AssistiveWare dates back to 2009, when AssistiveWare released the first Augmentative and Alternative Communication (AAC) solution for iOS: Proloquo2Go. The award-winning app includes N2Y's SymbolStix symbols, which are also used for the News-2-You weekly newspaper. The companies partnered-up once again to create the News-2-You app to serve children with special needs. A News-2-You year subscription includes a weekly edition during the US school year. Interested? Download the free News-2-You app, which includes one sample edition, to try it out! 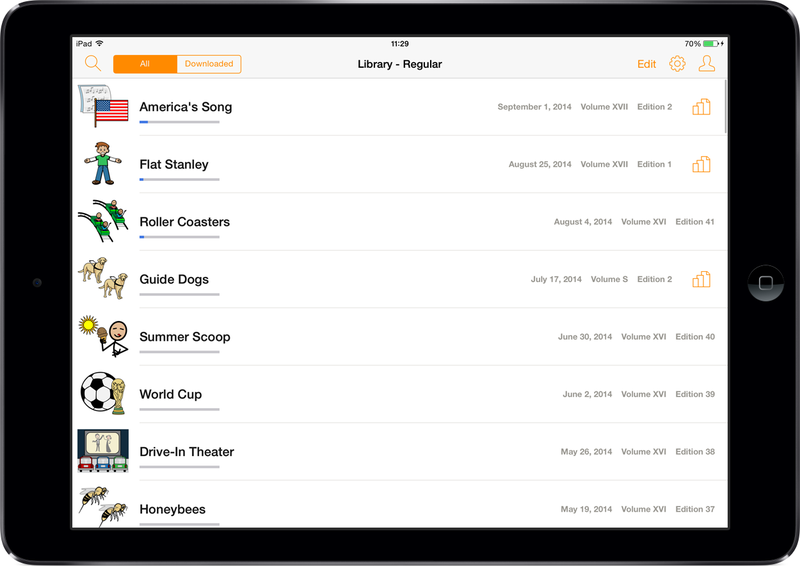 News-2-You 1.0 is available as a free application on the iTunes App Store in the Education category. The app includes a sample edition to give new users an idea of the features and content. Existing News-2-You subscribers can access the editions by connecting to their N2Y account. New customers can purchase a News-2-You iPad subscription or single editions right inside the News-2-You app. AssistiveWare(R), a leading innovator of assistive technology software for iOS and Mac OS X with over 125,000 customers worldwide, is committed to collaborating with the global community to make a difference in peoples lives. The company's flagship product, Proloquo2Go(R), is an award-winning Augmentative and Alternative Communication (AAC) application for iPad, iPhone and iPod touch that provides a voice for people who have difficulty speaking or cannot speak at all. Founded in 2000, AssistiveWare was the first company to deliver universal access to Mac OS X with its award-winning KeyStrokes(TM) on-screen keyboard and the first to create genuine children's Text to Speech voices. Focused on its vision to empower people through innovative technology, AssistiveWare offers a wide-range of assistive technology products and services. All Material and Software (C) Copyright 2013 AssistiveWare B.V. All Rights Reserved. N2Y is a cloud based special education publishing company based in Huron, Ohio, USA. All other trademarks and trade names are the property of their respective owners.